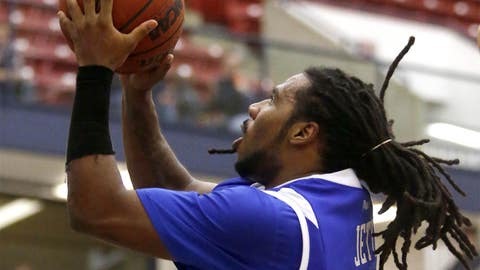 Saint Louis' Jordair Jett, right, shoots over Duquesne's Ovie Soko. PITTSBURGH (AP) Saint Louis coach Jim Crews is one of only a select few in NCAA Division I that starts five seniors. The No. 19 Billikens needed all of their experience to avoid an upset against Duquesne. Reserve forward Grandy Glaze added 12 points and Rob Loe and Jordair Jett – all seniors – had 10 for the Billikens (18-2, 5-0 Atlantic 10), who won their 12th consecutive game.